A portal is the primary destination for the users, which is a mixture of attractive features, web pages and several other services. It's not only the idea but it also affects the company's productivity and effectiveness. It also stimulates awareness about your business among people and also generates heavy traffic. A B2B portal is basically a business-to-business portal wherein an E-commerce transaction is done amongst multiple businesses. It also helps in linking one business to the other around the globe. Increased ROI (Returns on Investment): A B2B portal can amplify your business profits manifolds. With the help of a B2B portal, the present customers get faster and easy insights about your products and services, and you can also acquire a better support from your customers, and quickly address their requests. "A penny saved, is a penny earned" principle: A B2B portal reduces the cost of processing of orders considerably. Not only it reduces the operational costs up to even 30%, but also it helps in reducing inventory costs. Improved User Experience and SLAs: A B2B portal allows companies to serve their customers effectively and efficiently. So, in that way, it perks up customer services. 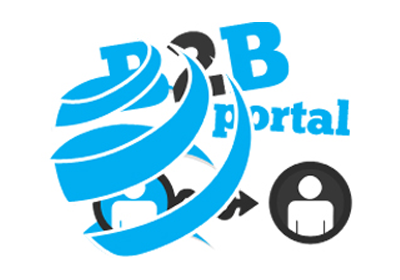 Desgn club india is a leading B2B portal development services provider. We take on various projects for the B2B website designing and development. With the help of the sites and portals designed by us, the customers feel it easy to upload a whole potpourri of products onto their websites so as to guarantee the global admittance of the products. Furthermore, we have developed a B2B sole to look after the trade relationships.